The LGHIB is pleased to offer you Blue Advantage, which is a comprehensive Medicare Advantage plan that combines all of the benefits of your health and prescription drug coverage under one all-inclusive and convenient plan. If your unit has elected to cover Medicare retirees and you are a Medicare retiree, a Medicare dependent of a retiree*, or a Medicare eligible participant who has elected COBRA, you will be automatically enrolled in Blue Advantage. 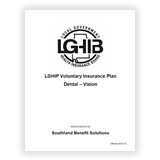 There is no action required by you, as long as you are currently enrolled in both Medicare Part A and Part B. After you are enrolled, you will receive an ID card to use for all of your hospital and doctor visits, as well as your prescription drug needs (if you have not opted out of prescription drug coverage). 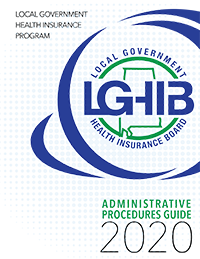 Dependents that are not Medicare-eligible will remain on the LGHIB health and prescription drug plan in which they are currently enrolled and should retain their current ID card. 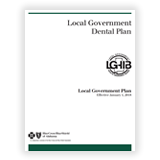 If your unit elected dental coverage through the LGHIP, dental coverage will be included in Blue Advantage. *If you are a Medicare dependent of a non-Medicare retiree who is retired from a unit that only provides coverage for non-Medicare retirees, you, the Medicare eligible dependent, will be enrolled in Blue Advantage while your spouse is covered as a non-Medicare retiree. For a list of network pharmacies, please use the link above and search by category “Pharmacy” and network “Medicare Part D Retail”. If you have any questions, please call Blue Cross and Blue Shield of Alabama Member Services at 1-855-314-4990 (TTY 711), between the hours of 7:00 a.m. – 5:30 p.m., Monday-Friday.